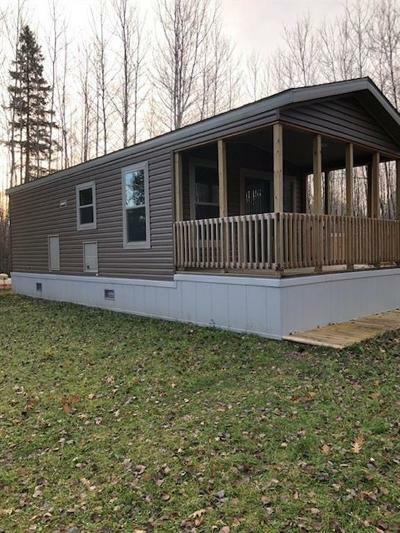 Next to new tiny home within 2 miles of Cable. Home is Amish built with great efficiency of space. Accommodates bunk beds in one bedroom and a queen bed in the master bedroom, next to the full bath. Kitchen is equipped with the necessary items to allow you to move in and start enjoying your 5 acres of peace & quiet with little effort needed from you. It awaits your occupancy. Broker owned. Furnishings are negotiable. Directions: Hwy 63 To Cable, West Onto Cable Sunset Road, Left On Cable Sunset Road, Home On Left.